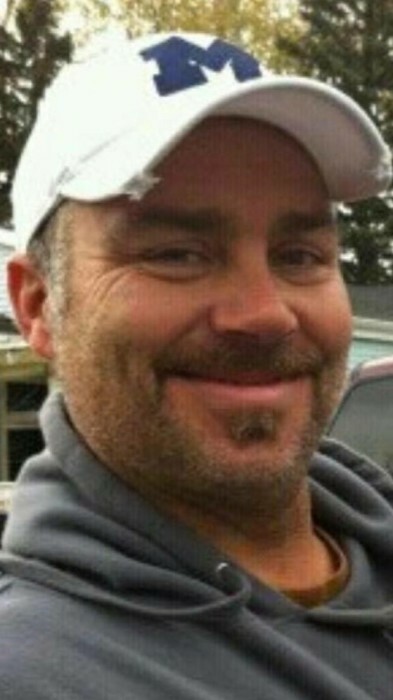 Roy Allen Ruetz Jr, 51, passed away September 28, 2018 in his home. He was born July 31, 1967 to Roy & Kathleen (Rybak) Ruetz, Sr. in Toledo and graduated from Erie Mason High School in 1985. Roy was an excellent welder working for Boilermakers Local 85 on many different jobs & projects. He always tried to help others fix things especially with the help of YouTube. He enjoyed the outdoors participating in father & son tubing trips in Manastee, MI for 35 yrs. Roy loved rock concerts a few of his favorites were RATT, Motley Crue, Metallica, Alice in Chains and Slaughter. Roy would go on Harley Runs, NASCAR races, loved his truck and played with numerous toys. Roy also was an avid University of Michigan and Dallas Cowboy football fan. His contagious laughter, smile and caring demeanor will be missed by everyone who knew him. He is survived by his lifelong partner Susan Eckhart, his punkinhead children Linsey Ruetz, Erin Ruetz and Jessica Hall, parents Roy and Kathleen Ruetz Sr, siblings Julie (Steve) Daniels, Jeremy (Dale) Ruetz and grandchildren Brayden, Jayda, Jersey and Constance. Family will receive friends Wednesday October 3rd at Castillo Funeral Home 1757 Tremainsville Rd, Toledo Ohio after 5 PM followed by a Celebration of Roy’s Life at 7 PM.